Dr. Abernethy was always interested in the medical profession, but was unsure of the direction she wanted to take. The morning of the first day at Meredith College, the right side of her face swelled to the size of a baseball! She needed an emergency root canal and after talking with the endodontist about her professional goals, he helped her to start an externship program at Meredith. She was able to complete two externships while in college. She would attend regular classes on campus, and then go to a dental office where she had the opportunity to learn more about the profession in a "real-world" setting. She will never forget the first time she was able to see a smile makeover from start to finish. A patient that had been in a terrible car accident came to the dentist to have their teeth rebuilt where they had been shattered on the steering wheel. Dr. Abernethy was amazed to see the transformation of the patient's self-image after her smile was completely restored! From that moment on, she knew that she wanted to become a dentist. After completing college, Dr. Abernethy attended and graduated from UNC-Chapel Hill Dental School in 2005. While at UNC, she was the co-leader of Give Kids a Smile Day, coordinator of the UNC Head Start Program, and the team captain of the Susan G. Komen Race for the Cure. After graduating from UNC-Chapel Hill, she started working as an associate for another practice. She was fortunate enough to gain a wealth of information from both a business and clinical perspective working as an associate. She knew, however, that she wanted to create a different style of practice that allowed her to have more time with each patient and give them more options than what she was able to do while working for someone else. She is affiliated with the American Dental Association, American Association of Women Dentists, Academy of General Dentistry, American Academy of Cosmetic Dentistry, International Congress of Oral Implantologists and the Raleigh-Wake County Dental Society. 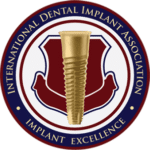 She is also a Spear Faculty Club member, CEREC CAD-CAM certified and earned her Fellowship with the International Dental Implant Association this year. Dr. Abernethy also enjoys spending her time with fellow colleagues once a month reviewing cases and meeting with nationally recognized dental speakers at the Raleigh Periodontics Study Club.